While there are always trends that will come and go in the yarn world, here in New England we never stop loving our “woolly wools,” as I call them. 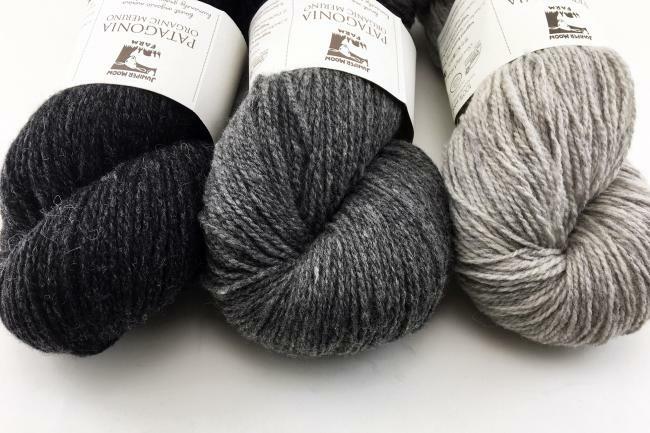 You know the ones – Peace Fleece Yarn, Bartlettyarns Maine Wool Yarn and of course Harrisville Highland Yarn - Washed Skeins. These yarns are our winter season staple, from warm woven blankets to hard-wearing knitted sweaters and accessories. Now there’s a new woolly wool on the block, and its (surprise!) pure merino fiber content makes it far less itchy than its colleagues, while still keeping a lofty, rustic feel and lovely heathered palette. 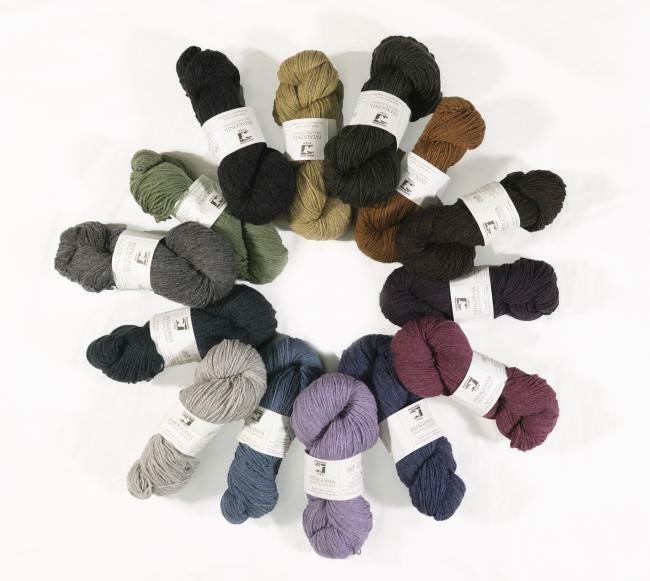 Juniper Moon Farm Patagonia Organic Merino Yarn is great for projects of any size, and its generous yardage makes it a welcome addition to any weaver’s, knitter’s or crocheter’s stash. 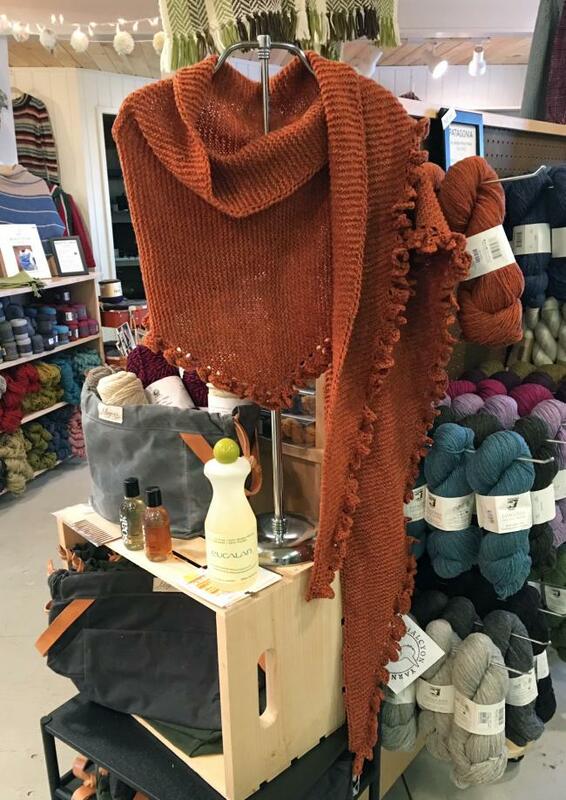 I had the pleasure of knitting up the Patagonia Merino Matilda Wrap for the shop (shown above). This easy shawl is knit side to side using just two skeins of Juniper Moon Farm Patagonia Organic Merino Yarn. 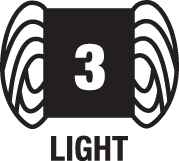 Increase until you get to the end of skein one, join the second skein and decrease to finish. The ruffled edge is worked at the same time as the rest of the wrap, so you won’t need to pick up any stitches later on. Pattern calls for size US 7 knitting needles and two skeins of Juniper Moon Farm Patagonia Organic Merino Yarn. Shown in Cinnamon, our color number 0113.